Today is the secular anniversary of Rabbi Abraham Joshua Heschel, the preeminent theologian of the 20th century (his yahrzeit on the 18th of Tevet is next week). Many of my teachers at The Jewish Theological Seminary were students of Heschel's and were highly influenced by his thinking and writing. In Heschel's memory I share my favorite story of Heschel as retold to me recently by Rabbi Gordon Tucker, one of his students: Heschel was sent by the Seminary to a Conservative synagogue to give a speech at a fundraising event. He went on and on for over an hour about his theology of humanity's desire to conquer both Space and Time. It was highly intellectual and far over the heads of many in the audience who quickly lost focus. When Heschel was finally finished with his teaching, the president of the congregation got up and simply said: "You heard the rabbi, the Seminary needs more Space and there isn't much Time!" While Heschel died before I was born, his writings have had a significant impact on my own Jewish theology. In college I read Heschel's The Sabbath which I have re-read several times since. My library has a dedicated shelf of Heschel's works, many of which were inherited by me from my late Papa, David Gudes. My copies of Man in Search of God and The Prophets still have the dogeared pages that my Papa left. In high school, as a member of USY's AJ Heschel Society, I would stay up late at night learning about Heschel's theology. I recall studying God in Search of Man with USY's International Director Jules Gutin at International Convention in Los Angeles in 1993. Over the years I have taught Heschel's The Sabbath to adults and teens. The first time I taught that book to teens was as a college student at Camp CRUSY. It was after Shabbat dinner on a Friday night and somehow all twenty or so teens gave me their full attention. That was one of the pivotal moments in my decision to become a rabbi. I also remember the first time I taught about Heschel's theology of Shabbat to adults. It was during a Tikkun Leil Shavuot at Congregation B'nai Israel. Sitting next to the synagogue's rabbi, Leonardo Bitran, I discussed how I fully embrace all the technological advances we have at the end of the 20th century and how my love of technology, electronics and automation often comes into conflict with Heschel's Shabbat theology, which calls for a break from technological automation that makes our lives easier. Heschel believed that we humans use space to try and control time. I asked "Is Heschel’s notion of Shabbat a possibility? Can we, as humans in the 21st century, ever just allow ourselves to sanctify time without trying to conquer space and time in a tech-centered world?" As society becomes even more dependent on technology in the 21st century, Heschel's theology seems to gain importance. Heschel's legacy is two-fold. He was a Jewish pioneer in the call for civil rights in our country and he pushed us to think intelligently about God's role in our lives. Heschel's ability to write poetically, if cryptically, about modern man's challenge of letting time dictate our lives if only for a day has been a gift for generations and will be a gift for generations to come. 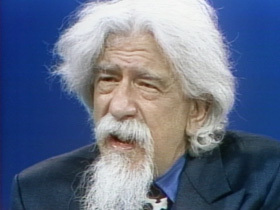 May the righteous memory of Rabbi Abraham Joshua Heschel continue to be for blessings. Ya'ashar Koach! I'm frum and love reading Heschel. I haven't found anyone in the Ortho world who writes the way he does and says what he says. I've read and re-read God in Search of Man several times as well as the Alter Rebbe's Tanya, another classic on Jewish spirituality which is neglected (except for my Chabad, of course).